This column was published in The Mayo News on Tuesday 31st March 2015. 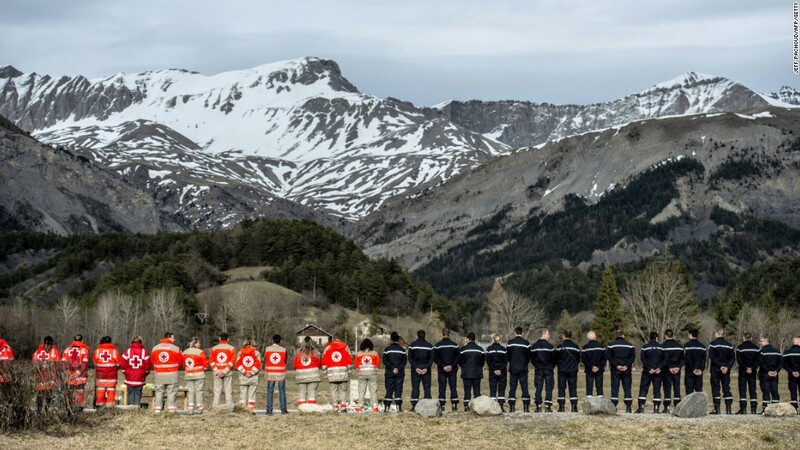 It was difficult last week to miss coverage of the Germanwings plane crash that claimed 150 lives in the French Alps. A catastrophe of unimaginable proportions, it embodied every private fear we’ve all tried to bury when getting on a plane. The horror experienced by the 150 passengers on board as it dawned on them what was about to happen is the stuff of our worst nightmares, and the proximity of the tragedy undoubtedly cast a chill over us all. Co-pilot Andreas Lubitz is now, sadly, a household name. Remarkable by his ordinariness, his Facebook page depicted him as a smiling, leather jacket-clad sportsman interested in travel, music, and clubs. Apparently popular, he appeared well-known and respected in his community. By all accounts, a perfectly normal young man who happened to fly planes for a living. So what made Lubitz decide to commit, apparently out of the blue, such an abhorrent act of violence in such a calm and calculated manner? The simple answer is that we don’t know. No-one could, at this point, claim to know with certainty. But at the time of writing, on Friday morning, the majority of the tabloid newspapers claimed to have the answer. It was depression, they screamed. It emerged that Andreas Lubitz is said to have sought psychiatric help for “a bout of heavy depression” six years ago, which necessitated a break from his flight training. After he was cleared to resume he passed all subsequent tests – including psychological tests – with flying colours, and was subject to regular medical checks. These last details appear to have been overlooked by many of the tabloids, who, high on outrage, published screaming headlines such as: “German who deliberately crashed Airbus had a long history of depression – so why was he let anywhere near a plane?”, “Why on earth was he allowed to fly?”, ”Depressed pilot crashed jet” and charmingly, “Cockpit maniac”. While the families of the deceased should be prioritised and respected in the analysis of this disaster, responsible media reporting should not be overlooked, and the messages emanating from those headlines demonstrate that while we might think we have progressed when it comes to normalising mental health, ultimately, the willingness to stigmatise those with problems is never far away. If depression is being touted as the primary reason for Lubitz’s actions, it any wonder there is still a reluctance to talk about mental health? In particular, is it any wonder that there is a particular reluctance to disclose mental health problems in the workplace? Nearly 6 in 10 people believe that being open about a mental health problem at work would negatively affect their career prospects. Reading headlines like this, is it any wonder? Discourse like this perpetuates the damaging myth that those with mental illness are more likely to be violent. Should no-one who has suffered depression in their lifetime be permitted to hold positions with responsibility for the safety of other people? If that were the case, we’d have a lot of people sitting at home. As someone who has, should I be forbidden to get behind the wheel of a car, lest I get a murderous urge to plough it into someone? While everyone’s experience is different, many will understand that when depression strikes, it’s often about as much as you can do to get out of bed in the morning, let alone murder 150 people. We can speculate endlessly on what drove Lubitz to do what he did. Mental health issues may have been a contributory factor, but it is impossible to attribute them as a cause. Too frequently, when a violent act is committed, the tendency is to point to mental ill-health as the primary reason. And when the media presents it in such a way, it’s not just hurtful to those of us who have experienced problems, it’s damaging and it’s irresponsible. It’s also downright lazy. At the time of writing, investigators claimed they had found a ‘clue’ in Lubitz’s home that might shed some light on why he did what he did. For the families and friends of the deceased, we can only hope that such answers are forthcoming. But they will be cold comfort. ← Are you really entitled to your opinion?